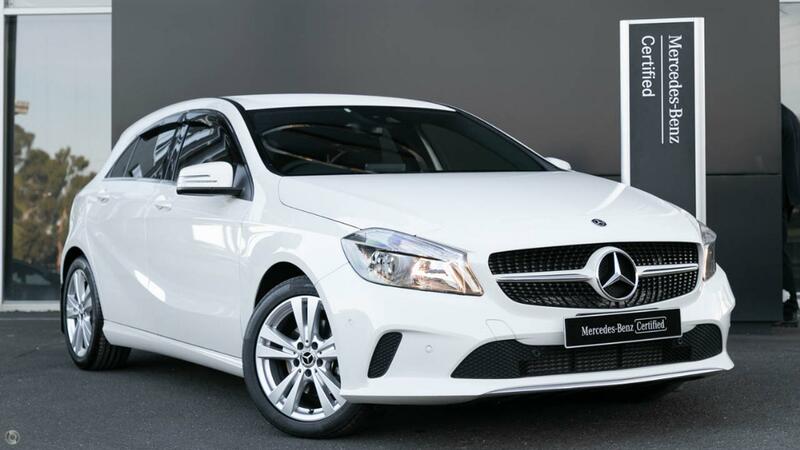 Australia's Most Awarded Mercedes-Benz Retailer proudly presents this Certified low kilometre A180, NOT an Ex-Rental car like so many others available and featuring Fully-Factory-Backed Warranty right through to December 2022! Perfectly presented in crisp Cirrus White with Black-Red Messancy fabric & ARTICO Man-Made Leather and Honeycomb Trim featuring KEYLESS Start, Garmin MAP PILOT navigation, DAB+ Digital Radio, Smartphone integration (Apple CarPlayTM & Android AutoTM) and Reversing Camera with dynamic guidelines and improved 1800 wide angle visibility. Take the wheel of your fantastically frugal and immensely safe A180 with absolute confidence - ONLY from a Certified Mercedes-Benz expert and the reigning "Mercedes-Benz Metropolitan Retailer of the Year" again, for the 5th time in 6 years! - Tinted glass all round.